Christina Pikas, The Impact of Information and Communication Technologies on Informal Scholarly Scientific Communication: A Literature Review, a paper for a doctoral seminar at the University of Maryland College of Information Studies, May 13, 2006. Abstract: This paper provides a review of the extensive research on the social structure and process of informal scholarly scientific communication and more recent research on the adoption and use of information and communication technologies by scientists for informal scholarly scientific communication. The benefits and uses of the information and communication technologies reported in the literature were examined to determine the influence of the technologies on the prior system. Information and communication technologies have not changed the social structure of science, but have enabled new forms of remote collaboration and slightly higher productivity as measured by number of publications. I find it interesting that RSS does not show up once in this comprehensive document. Blogging is discussed as a means of summarizing conferences or in the context of popular media. I still maintain that a greater potential for blogs and other RSS based technologies is the communication of raw experimental data. There is nothing more efficient to connect the sharer and searcher of information. And it sets up a nice framework for enabling non-human agents to start participating. 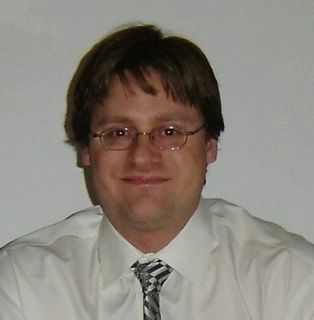 CastingWords has just finished transcribing all of the theory lectures for my organic chemistry class CHEM241. It comes to about 88000 words, 179 pages in Word. Like all my other blogs, this one has a SiteMeter at the very bottom and links back to the mp3 podcast, m4v vodcast (for video ipod) and Flash screencasts of every lecture. It will be interesting to see how people are searching for this content. One of the undergrads working in my lab (James) has been recording short video segments to document his experiments on the synthesis of anti-malarial compounds. 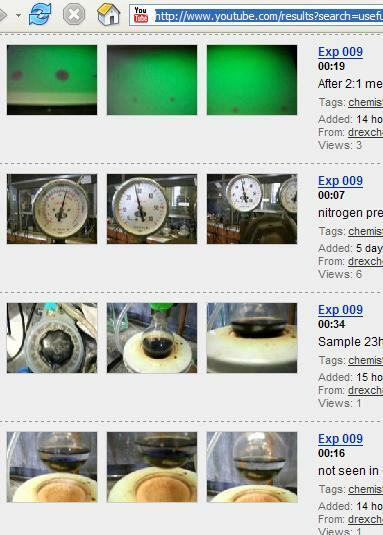 It turns out that video is an extremely effective way to communicate the details of a scientific experiment. On several occasions I was able to understand what actually happened and spot problems in ways that words just can't capture. 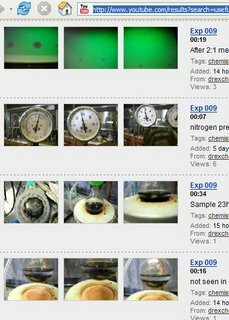 What has made this even better is that we are now posting these videos to YouTube and tagging them with "usefulchem" for easy retrieval. In addition to being a great way to share videos, YouTube nicely compresses, hosts and streams them (so we don't have to). It is reportedly easier to use than Google Video. One limitation is that videos are limited to 10 minutes, which is why I have not yet uploaded my lecture recordings. At some point I'll have these modularized and uploaded there. 1) Since students were encouraged to find articles to support their assignment, they sometimes linked directly to a PDF file, which automatically got incorporated as an enclosure by Feedburner. This is not a very bad thing - just that students subscribed to the class podcast might be confused by these additional files showing up in iTunes. 2) This is much worse: it seems that students like to write their assignments in a program like Word first then paste them into the Compose mode of Blogger. This carries all kinds of nasty formatting elements that actually can break the RSS podcast feed coming out of Feedburner. In response to this problem I have created a new blog for my students to post their assignments. If they do break that one, at least the podcast will be unaffected. A good way to avoid this problem is to paste the text in the Blogger Edit HTML mode. That will strip out the formatting. Or simply write in Blogger itself, making use of the Draft option to avoid premature publication.